At What Stage Does Your Business Need A Full-Time HR Pro? So you’ve got your business up and running and invested countless sleepless nights, skipped vacations, and forgot your own birthday to keep the dream of being a small business owner alive. You’re not alone. According to the U.S. Census Bureau, there are more than 27.9 million small businesses in the U.S. and more are being added every year. As you add employees, the complexity of your business grows, and regulations change with more people on the payroll. You soon realize you can’t wear all the hats forever. Now is the time to set a great HR foundation for your business. Here are some general guidelines to help you think about when to use a consultancy, hire a full-time HR professional, and when you might need both! In this stage, you are likely hiring people who are as passionate about the businesses as you are. You likely don’t want to outsource hiring at such an early stage because working together and building company culture are essential to your success. However, this doesn’t mean that you can simply ignore HR tasks, which extend far beyond hiring. You need a partner to help you with basic policies and procedures to ensure employees are treated fairly and that your business follows all the applicable regulations for your size. A base level HR plan with an HR outsourcing professional or firm can offer template policies and procedures that you can customize for your own small business, help answer questions from employees, and help you comply with employer-related laws. Once you have more than a couple of employees, there are many administrative tasks that business owners need to outsource. Are you still staying late every Tuesday night to run payroll? You need help! As your company grows, it will be harder and harder for one person to juggle both the business and the human resource workload. You probably didn’t become a business owner to run payroll, right? Common functions provided by payroll outsourcing providers include time and attendance, payroll processing, tax filing and compliance, and time-off request management. Compared to the salary of a full-time HR staff member, outsourcing is more affordable at this stage. A good outsourcing partner will offer customizable options based on the number of employees you have and the products and solutions you need. The 50-employee threshold kicks off FMLA and other state and federal regulations. The 50-employee mark is the absolute last stop for thinking, “I’ll just do it myself.” By trying to save money or expecting that your accountant or administrative employee can manage this level of complexity and regulation, you are putting your company at risk. If your workforce is mostly stable, you will likely save by continuing to outsource HR services, but if your workforce tends to turnover, then that a big YES vote for hiring an HR person. “My advice is to start early working with a consultancy and/or labor and employment attorney and at the same time, have the consultant work to help develop someone in your organization to manage day-to-day responsibilities,” said Debra Franklin, a Reading, Pennsylvania-based attorney whose practice focuses on assisting businesses in meeting their compliance and HR challenges. According to ZipRecruiter, an HR staffer/recruiter with a couple of years of experience makes anywhere from $48,000 to $60,000 a year. This person can handle hiring, onboarding, resolving internal issues, updating policies and procedures, and helping employees with benefits. A part-time or mid-level person should not be expected to understand and protect your company from all liability. Working with a consultant on these bigger compliance issues is essential for long-term success. Typically when your organization reaches around 100 employees, it becomes essential to hire a dedicated HR professional with a minimum of seven years of experience. You and your leadership team need to focus on your specific duties and not the training, onboarding, and management of your staff. 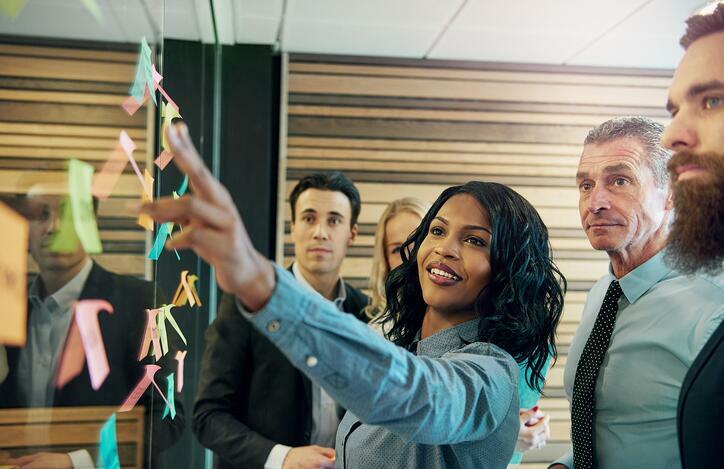 “HR will help us grow the internal team who, in turn, can help us grow the number of customers we serve,” states Marjorie Adams, CEO of Fourlane, in her Forbes article. At this point, your experienced HR staff member manages much of the HR function but will likely require a level of HR consultation and payroll outsourcing services as they take on the heavy lifting that comes with a company of this size. Properly staffing for HR talent will allow your business to flourish as compliance risk is minimized and top talent looks to you, rather than your competition, for attractive benefits, pay, and workplace culture.